The American television channel CNBC, citing US intelligence sources, said: unmanned aerial devices with the Poseidon nuclear power plant will not enter service with the Russian army in 2019, as claimed in Moscow, and not earlier than 2027. To believe – US intelligence, or our military? “MK” tried to find out from the expert. 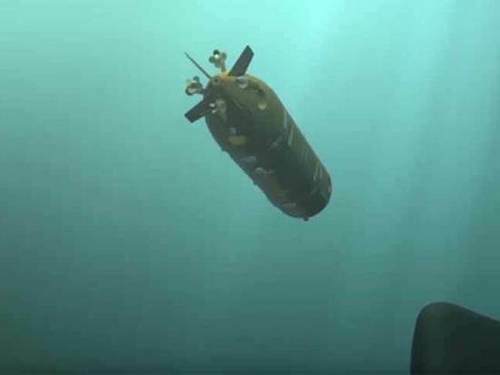 Let me remind you that the development of a nuclear underwater drone was first reported by President Vladimir Putin in 2018 during his annual message to the Federal Assembly. He said that such devices can be equipped with both conventional and nuclear ammunition. This will allow them to destroy the widest range of targets: naval aircraft-carrying strike groups, fortifications and coastal infrastructure. – It is clear that such a “drain” is an element of the information war that is being waged against Russia. On the one hand, they frighten us, and on the other, they try to prove that we are not capable of anything, speaking about our new technique, that it is so mythical that it will only appear by 2027. Where does this figure come from? The Americans tie it to the completion of the implementation of the State Armaments Program, which is calculated until 2027. There “Poseidon”, indeed, is listed. But this does not mean that he will go into service in 2027. The weapon comes to the troops in accordance with the schedule. By the way, just recently the Ministry of Defense reported that Poseidon had passed the entire test program. That is, prior to the program of state tests, the product was assigned the letter “O”. Now he received a letter for the serial sample – “O-1”. I think that part of this mass production already even exists, since several samples are usually made for testing. Now after the conversion, the submarine carrying Poseidon is launched. And this is not a new built boat, which needs to be tested by itself, but one that has already gone to sea. On it simply install the launcher. Probably, they will conduct a test run from this submarine, and the tests will be finally completed on this. Mass production will begin. So their intelligence is trying to wishful thinking. In the US, there is now a serious debate going on in Congress – the Chamber of Accounts has revealed unpleasant figures for the Pentagon. Moreover, during the period of the war in Afghanistan they cannot find where hundreds of billions of dollars were spent, they began to deal with weapons programs, the financing of which every time increases unnecessarily. Programs that, according to American strategists, should stop our military development, are being driven into the military budget. But it turns out, they give money for it, and at the exit – zilch. And the question of “Poseidon” there is particularly acute. They have no means of its detection, destruction and defense against it. Hello, Excuse my blunt message, but I’m looking for websites like yours to try out our new software that is designed to help you see exactly where your site is placed in the Google search engine listings against your competitors. You can then use the data to understand how to improve your rankings and we offer free advice too.